Get Creative: The Art of Sled Making! Whether your family has traveled out of town for a trip or Mother Nature drops a surprise flurry on your neighborhood, chances are that at one time or another you’re bound to find yourself snow-rich and sled-poor. When parent’s see snow they think of shoveling the driveway, puttering down the street slowly in order to avoid going into the ditch, and all of the other winter-time tasks that come with life above the sub-tropic line. Kids however are in a different frame of mind when the white powder begins to stick to the ground. 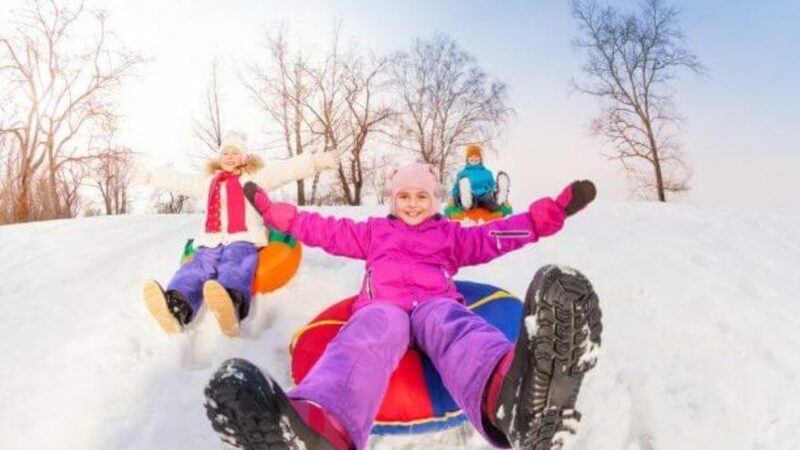 Unencumbered by the endless winter chores that make life livable for us adults, kids tend to think rather of snowmen, winter forts, snowball fights, and of course, downhill sledding. There’s few better ways to pass a wintery afternoon for a child than by zipping down a long hill on a fast sled with their friends. Not even the laborious long uphill climbs and frozen toes are enough to deter them and send them inside. So it stands to reason that as the parents, your role in this fun activity is pretty straight-forward; provide the sled. But whether you have forgotten to bring one along on the trip or you simply live somewhere that doesn’t get snow all that often, every now and then you’re forced to improvise with what is on hand. The good news is that as long as you follow some basic construction guidelines, making a homemade sled that is sure to turn you into a snow-day hero is fast and easy, and odds are that you have the necessary materials sitting around. So grab a fresh cup of hot chocolate, toss another log on the fire, and let’s see what’s close at hand to turn your cold snowy day into an exhilarating family memory. Spending a considerable time living in western Georgia we have become versatile at reacting to unexpected and extreme weather changes. Typically, we excel and summertime activities. Give us a pair of goggles and some board shorts and it will take the sun dropping to bring us inside. So it comes as no surprise that when old man winter shows up, we can be at quite a loss for what to do. Wintertime down in Dixie usually means raking up the leaves and pulling some seldom-worn blue jeans out from the back of the closet or a rarely opened dresser drawer, so when we actually see snow not only coming down but also sticking, the race is on to take full advantage of the rare opportunity. I remember the year that our youngest son was 2 and we received a proper “snow storm”, (bear in mind that in a city that owns maybe 1 or 2 snow plows, it doesn’t take too much accumulation to call for a snow day). The boys were understandably excited as the radio informed us of all of the businesses and schools that were shutting down; which were pretty much everything. Our house is on a large hill, so it didn’t take long to get the idea to turn our backyard into our own personal sledding paradise. The only problem was that since this was the heart of the deep-south, not only did we not own a sled, no stores around us even carried them. After taking inventory of the garage my eyes fell on the perfect substitution; our beach boogie boards. Normally reserved for riding the shorter waves on the beach, these small, slick boards are designed for one thing: reducing friction for speed. We had one dense board and one varnished wood one that we used. What they lacked in handles to stabilize the ride they made up for in speed. After using an old candle to apply a layer of wax to the bottom for increased glide, we were going down the hill at (at times) alarming speeds. One of the best aspects of this option was the durability, these boogie boards were meant to take a beating. Often times we would end up on the street, (we live on a very quiet cul-de-sac with great visibility in both directions), and the boards showed no scars at the end of our spontaneous snow adventure. The only downside was the lack of any handle to hold on to. This was solved by going down on our bellies as the boards were designed to be used, with the exception of our youngest which we sat upright with when going down the yard. Maybe like us you have more visitors to your house each year than you have bedrooms, or maybe when you go “roughing it” you prefer to do so while not waking up stiff as a board, but there’s a good chance that you have some sort of air mattress or pad laying around. A word of caution, this one falls into the realm of “whatever you use for a homemade sled is likely to be destroyed”. The good thing is that you are bound to have a very comfortable downhill ride if you do it on a cushion of air. If you use one of the camping sleep pads you can pull the front of it up to create a toboggan effect that will not only reduce drag, but also give you something to hold onto as you race downhill. If you elect to use a larger air mattress just be aware that they are made from thin material and so the odds of it surviving the day are not too good. In the very likely event that it does spring a leak however, no fear, even a flat air mattress makes a very good sledding substitute. If you really want to increase the slick effect of a rubber mattress, spray some Pam cooking spray on the bottom in between runs for decreased drag. Whether you actually use it for yoga or just for some simple exercise at home, many people have a rolled up foam yoga mat lying around somewhere. After some modification, these mats can work out great for passing a snowy afternoon. If you have deep snow a yoga mat is going to be rough going at first. Where a makeshift sled like this shines is on a densely packed snow trail. This is where you as the parent come in. Simply affix a rope handle to the front of the yoga mat and weigh it down with some stuff that’s handy; a large bag of dog food, a spare tire, whatever you can find. Then make a few passes up and down the hill to pack the trail down tight. If you want you can add a little hose water to the trail and allow it to freeze to make a downhill course that’s sure to get the speed up. Then, much like using a camping sleep pad, roll the front of the pad up and hang on! This one also works well with a little cooking spray applied on the bottom, just be careful how fast you make it depending on the surrounding area and the age of the children using it. Also like the air mattress, if you use a foam yoga mat prepare to have it come back in less than ideal condition. Who Would’ve Considered Tote Bin Lids? When it comes down to it, you have to use what is available. It seems as though no garage, attic, or spare room closet is complete without an assortment of large tote bins. If you’re like us, then Christmas time is a great time for this option since this is when we, (I), have hauled all of the Christmas decorations down from the attic. Since I don’t make that trip any more than absolutely necessary, this time of year there are always a ton of totes in the garage. If you really want to get creative with a makeshift sled, this is a great option since the cost is low and most of us can live without a lid or two for our bins. If you make 2 holes in the front of the lid, simply knot a piece of rope into the holes to create a handle for your child to hold onto while they go down the hill. The drawback to the tote bin lid is that the front will dig into soft snow so taking the time to prepare a trail is going to pay off. While some people use a cooking spray on these types of sleds, when it comes to hard plastic I come from the school of thought that says that nothing beats candle wax. Just grab an old candle and rub it on the bottom side until you have a nice layer that reduces the friction as the sled goes down the hill. Sadly, frozen plastic is not the most durable thing, so prepare to live without much of a lid at the end of the day with this design. Not ready to make a big sacrifice in the name of sledding? That’s ok, you don’t necessarily have to. No matter where you are in the 21st century you are sure to be close to some cardboard. Whether its large boxes that you own or even ones that you scavenge from a local store, you want to select the right type. Look for a large box that will give you roughly at least 3 feet wide and 5 feet long. It needs to be fairly rigid cardboard in order to work the best for a daylong sledding adventure. Collapse the box or cut the size and shape that you need. After you have the cardboard in the size that fits your child, you can add some masking tape to keep it together and rigid. Once that’s done, simply use heavy duty trash bags to cover the homemade sled and add some more tape. Putting some holes in the front for a rope handle will keep you child on top and in control. The beauty of this design is that at the end of the day you won’t likely have lost much of anything in the way of value. Simply disassemble it when you’re done for recycling and there you have it, a perfect surprise snow day fun time. Like the air mattress, this is a great one for cooking spray if you want a little added speed. If you plan on sledding for a while, bring some spare trash bags for repairs as they’re not the most durable thing to use. This one is pretty age and size limited, but for the smaller one it can be a very secure way to negotiate the backyard slopes. It does require a sizeable laundry basket but what makes this idea so great is that you can put your toddler inside the basket and, after tying a length of rope to the front, even just use it to pull them around the yard for fun. 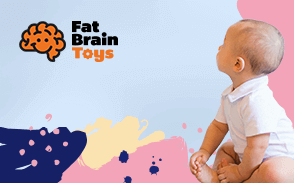 If your child is still mastering the ability to sit up, they’re going to love being pulled around the yard by mom or dad, and the risk of them falling off and getting injured is pretty low provided you keep the speed reasonable. If the idea of hauling your kids around the yard for hours on end sounds exhausting, take comfort in the idea that adding a little layer of candle wax to the bottom will make things slightly easier on you. I’ve never broken a laundry basket doing this activity, but you should emotionally prepare yourself to. Plastic that isn’t made to be frozen can have a mind of its own when you spend the day in the snow with it. Growing up south of Buffalo, NY, one sled that you were sure to find on the public slopes was the saucer. Shaped like a perfect disc, this giant Frisbee looking sled was known for one thing; speed. What it lacked in any ability to control, it made up for in spades with pure quickness. Kids would apply their wax to the bottom of these sleds like they were preparing to catch a monster wave off the coast of Hawaii on a surf board. You can make an imitation of this style of sled using a trash can lid from your house. The placement of the top handle to the lid can be a problem, but provided you are emotionally investing in the endeavor, these handles can be flattened or removed. This style of sled is generally best for larger children as it has a tendency to spin in circles as it goes down the hill. Much like the other rigid designs, this sled performs best with a layer of candle wax applied to the underside. Don’t let the snow discourage you from making lifelong memories with your family just because you don’t have traditional snowy day toys on hand. Winter is a perfect time of year to get creative and have adventures. Bundle the family up and get out there and have a good, safe time that your children and you will remember for years to come. Too often parents see the added work when it comes to the colder weather, but showing your kids that there is opportunity in all circumstances is vital to raising adaptive and creative children. I’m willing to bet that after one or two hair blowing runs down the hill, you are going to travel back to a time when you were a youngster and the world was full of adventure and fun.